Aromatherapy has been used for thousands of years for various health benefits. 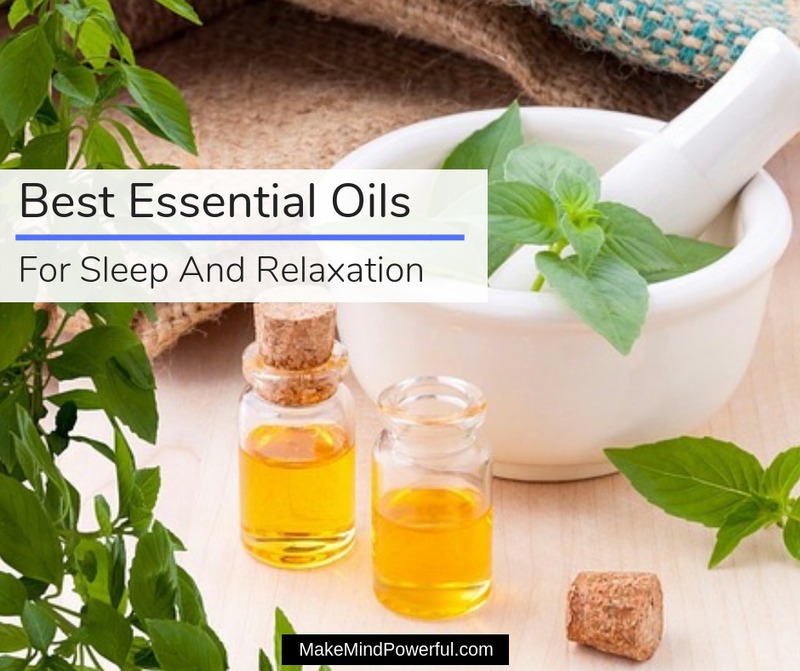 Check out how some of the best essential oils for sleep and relaxation can be the natural remedy that you needed after a long day at work. What Affects Your Sleep Cycle? Insomnia can occur due to medical conditions like sinus allergies, gastrointestinal reflux, asthma, back pain, and other related conditions. Besides that, your lifestyle may also affect your circadian cycle. For instance, taking caffeine during the evening almost guarantee a sleepless night for most individuals. Essential oils have been used for thousands of years in aromatherapy. The extracts from plants and herbs contain potent therapeutic properties. Ancient China civilizations are known to use essential oils for healing purposes. The ability of essential oils to induce sleep and relaxation is very much backed in science. Essential oils contain natural components that interact with the nervous system of our body and creates the right condition for sleep. With that said, not all essential oils have the same effect. Here are some that work for sleep and insomnia. While essential oils have been used for centuries to promote well-being, including sleep, science has tried its best to catch up with clinical analysis. One such study involves 158 mothers who are given lavender oil to inhale. The study points to the effectiveness of lavender oil in improving sleep quality. Using an electronic diffuser – One of the most common ways of using essential oils to promote sleep is to use one of the many diffusers available. The diffuser will send tiny particles of essential oil into your room to create a pleasant environment for sleep. Aromatherapy massage – Sometimes, easing tight muscles can help your body and mind to relax. You can apply some essential oils during a massage, but ensure they are diluted with a carrier oil like fractionated coconut oil. Essential oil infused bath – You’ve probably heard that taking a bath prior to bedtime helps to calm down your mind. For a better effect, add a few drops of essential oil and Epsom salt to have a healing bath. Use a spray – Spraying essential oil-infused water onto your bed and have the aroma lulls you to sleep. Topical application – A direct approach may be preferred by some as a topical application is believed to produce quicker results. Dilute essential oil with a carrier oil before applying on your hand. Essential oils are potent extract derived from plants and herbs. Using the right oil can be beneficial for sleep. However, diffusing low-quality oil is not only ineffective but may introduce harmful components to your body. Here’s what you should look for when buying essential oils to aid your sleep. Ingredient – You can’t be too sure when there are possibly hundreds of essential oil products in the market. Always check the labels to ensure no artificial additives, fillers or harmful chemicals are used in the process. Ignore ‘therapeutic grade’ claims – As there are no standards that regulate essential oils, any manufacturers can claim ‘therapeutic grade’ for their products. It can be nothing more than a marketing gimmick. Type of herbs or plants – It’s important that you choose essential oils that are known to promote sleep. Various essential oils have diverse properties and some may not help with sleep. If you’re in doubt, check out my recommendations below. Single or Blends – While single ingredient essential oil allows absorbing of pure healing properties of nature, the synergistic blend enhances the properties of the different oils. Some individuals prefer essential blends made from sleep-promoting ingredients. As natural as they are, essential oils must be used with care. Each type of essential oils may cause different side effects when they are not used correctly. Here are some precautions to bear in mind when using essential oil. Avoid ingesting essential oil – Unless advised by your doctor, avoid taking essential oil orally. Some essential oils may be safe when taken in a small amount but others cause more harm than good. Use a carrier oil for topical application – The potency of undiluted essential oil may cause irritation on the skin. Always dilute (1%-3%) essential oil with a carrier oil before applying on the skin. Never apply to sensitive areas – Avoid applying essential oils on sensitive parts of your body like eye, nose, and ears. Children – Children, toddlers, and babies should avoid essential oils as due to potency and sensitivity. If you start developing allergies or side effects when using a particular essential oil, discontinue immediately. Important: If you’re suffering from any medical conditions, you’re advised to consult your doctor before using these essential oils. This article is not written by a medical professional, health expert or a doctor. Thus, it is not a substitute for medical diagnosis or treatment. Essential oils can differ in quality even if they are claimed to be extracted from the same plant. Instead of manually comparing the hundreds of essential oils available, I’ve put up a list of the best rated essential oils that you could try for sleep. Bergamot, or Citrus bergamia as it is known by the scientific fraternity, is a citrus fruit that is popular in both Eastern and Western countries. It was highly used in traditional Chinese medicines and the oil from the fruit is a vital ingredient in Earl Grey. This citrus fruit was native to Southeast Asia but has since been cultivated in Europe and other parts of the world. The oil extracted from bergamot is known for its mood-calming properties. A study conducted by the Kyoto Prefectural University of Medicine of Japan on 41 healthy females shows a reduction in negative emotions after they are exposed to bergamot oil. 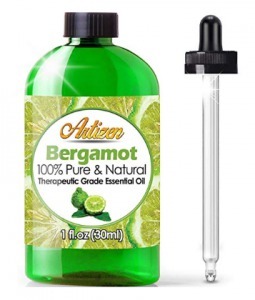 Artizen has one of the finest, undiluted bergamot oil in the market. It is extracted using a refined distillation technique and superior process to ensure the highest of potency. You’ll find no traces of additives or fillers in the oil. The oil is further protected during storage and shipping in a UV-protective glass bottle. Artizen also includes a premium glass dropper for you to accurately dispense the oil. You can diffuser the oil by adding 4-5 drops into a diffuser. Refined distillation for maximum potency. Rigorous testing to ensure no harmful chemicals. The scent is too light for some. Cedarwood tree grew in high altitude regions with a colder climate. There are a few species of the Cedus tree and the Juniperus virginiana is one that produces superior essential oil. Cedarwood has an impressive range of medicinal properties that have seen it being used across civilizations thousands of years ago. The amazing qualities of cedarwood oil are attributed to its active components like alpha-cedrene, beta-cedrene, cedrol, sesquiterpenes, thujopsene, and widdro. Its sedative effect is documented in a study that involves Wistar rats. Searching for high-quality cedarwood essential oil is a challenge, but you’ll find one in this cedarwood oil by Healing Solutions. 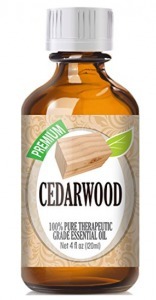 The oil is distilled from the finest cedarwood in an FDA approved GMP certified facility that also complies with ISO 9001. Using only the cedar tree grown in the best places in India, the essential oil is highly potent. Its sweet woodsy scent will help to relax your mind and ensure you have a restful sleep. A diffuser will be useful in sending the tiny particles of cedarwood oil into the air. Sourced from the finest cedarwood trees in India. Manufactured in a GMP-certified facility. Great for calming the mind. May not be effective for some people. Mention chamomile and the image of chamomile tea usually comes to mind. However, chamomile essential oils are equally effective to promote sleep and relaxation. There are to major species of Chamomile plant, Roman chamomile, and German chamomile. The one that offers the sedative effect is Roman chamomile or chamaemelumnobile. Roman chamomile is known for its anti-inflammation properties and has been widely used by the ancient Greeks to treat various illnesses. 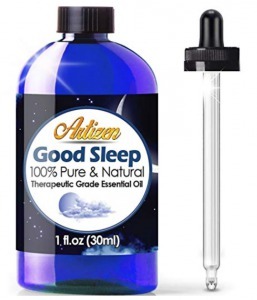 Its sedative quality made it one of the best essential oils for people with sleep issues. This is well-proven in a clinical study that involves post-partum women with depression and sleep disorders. 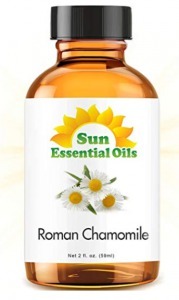 If you prefer essential oil over a cup of tea, this chamomile oil by Sun Essential Oils is an ideal option. The oil is extracted from the finest chamomile with no chemicals added. As such, you can expect a highly concentrated chamomile oil that has a stronger scent than a regular cup of tea. The quality of the chamomile oil is pronounced when you use it for a massage, bath or diffuser before your bedtime. Its natural floral scent would slowly bring racing thoughts to a stop, creating an ideal mental state for sleep. You’ll feel rejuvenated after having a good night of sleep. Extracted from the finest Chamomile flowers. The scent may be too weak for some people. Clary sage or Salvia sclarea is a herbal plant with blossoming flowers that grow in the region around the Mediterranean sea. Various parts of the plant are known for its medicinal properties and is a favorite amongst aromatherapist for soothing emotions. The scent of clary sage is weedy and tea-like. It is a calming aroma that can help to reduce anxiety, which often causes sleep issues. In a study conducted by the Korea University, clary sage essential oil has shown a positive effect in helping 34 female patients with urinary incontinence to relax while undergoing an assessment. Plant Therapy is known for its KidSafe series of essential oil and this bottle of clary sage oil is made with strict manufacturing and testing. The oil is extracted via steam distillation which ensures the natural compounds of clary sage remain intact. As the earthy, fruity and floral scent permeate your room, you’ll find comfort in a balanced environment. Any raging thoughts and emotions will be quelled to enable you to have a good night of sleep. Women may also prefer this clary sage essential oil as it eases menstrual discomfort effectively. Help to calm raging emotions. Some individuals dislike the smell. Lavender is arguably one of the most commonly used plants in aromatherapy. The unmistaken floral scent of lavender has captivated humans since the ancient civilizations of Romans, Greeks, and Egyptians. The calming fragrance is used for both cosmetic purpose and mind-calming remedy. Today, the lavender essential oil is used for its various health benefits, including overcoming sleep issues. A clinical research conducted by researchers in Taiwan shows increased sleep quality in 67 mid-life women who are exposed to lavender aromatherapy. 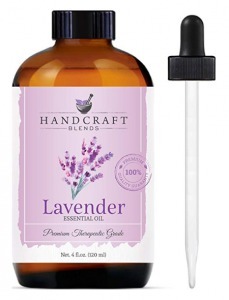 You’ll find this bottle of lavender essential oil by Handcraft Blends effective in putting an end to the sleepless nights. The oil consists of pure lavender extracts that are free from any additives or chemicals. Each batch of lavender oil is subjected to strict third-party lab testing. The lavender oil is stored in a UV-protective glass bottle that ensures the properties are not destroyed by heat or UV exposure. You’ll also get a premium glass dropper for accurate measurement when diluting the oil for topical application or inserting into a diffuser. Made of 100% natural lavender. The scent may be too weak for some. Roses are not only lovely on the eye, but this flower that symbolizes romance also makes potent aromatherapy oil. Of over 200 hundreds of roses in existence, the Damascus Rose or Rosa Damascena is used for producing essential oil. There are hundreds of components in rose essential oil that contributes to its therapeutic properties. Extensive studies have been done on rose and it was found that ethyl acetate, aqueous and n-butanol from the rose improve sleep quality. 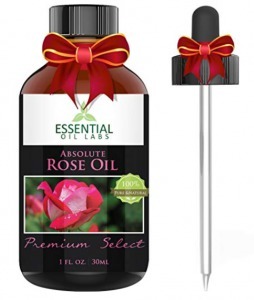 Instead of spending on a bouquet of roses, the best gift for yourself is a bottle of Rose Oil Absolute by Essential Oil Labs. It was made of roses harvested from the Himalayan mountain and derived from solvent extraction that preserves its healing properties. Adding a few drops of rose oil into a diffuser will soon send the hypnotic scent of roses over the room. You’ll find it uplifting as the natural components of the oil starts interacting with your mind and body. Stress and anxiety will ease away for a refreshing slumber. Sourced from the Himalayan mountains. Helps to improve sleep quality. Some buyers dislike the aroma. The sweet woodsy smell of sandalwood is commonly used for religious ceremonies in India and China. There are various species of sandalwood trees around the world but the highest quality is found in India, known as the Santalum album. Besides being used for religious purposes, the essential oil that is extracted from sandalwood is known for its positive effect on physical and mental health. A study published in 2006 suggested the effectiveness of sandalwood in reducing anxiety and promote a calmer mind. The same calming woodsy aroma that characterized Eastern temples can be applied in your bedroom with this bottle of sandalwood essential oil by Aviano Botanicals. It was harvested from the finest Santalum tree in Mysore, India. The oil was extracted with a superior process that results in a higher potency compared to other competing brands. You’ll be greeted by a sweet, gentle scent once you uncapped the bottle, and when diffused, you’ll have your worries silenced during bedtime. Sourced from sandalwood trees in Mysore, India. High potency with no fillers. Some find the scent unpleasant. Essential oil blends can help with sleep and relaxation as the synergistic effect amplifies the therapeutic properties of individual herbs. The Good Sleep essential oil blend produced by Healing Solutions consists of Clary Sage, Copaiba and Lavender. The oil is produced from plants that are known to contain the highest level of therapeutic properties. The purity and potency of the oil are protected by a rigorous processing and testing procedure performed in a GMP certified facility. As you diffuse the Good Sleep oil, an earthy scent with hints of lavender and clary sage will permeate the air of your room. The long-lasting aroma helps you to sleep comfortably and wake up refreshed in the morning. Made of high-quality clary sage, copaiba, and lavender. Great in promoting better sleep. Some may not like the scent. Artizen is well-known for making high-quality essential oils that are potent and effective. The same applies to this Good Sleep blend that comprises the finest clary sage, copaiba, and lavender. The harmonious combination works well for people who have difficulty sleeping. The oil is extracted using a heatless process to ensure the healing properties are not damaged. There are no additive, fillers or chemicals that are added to the oil. Each bottle is subjected to rigorous testing to ensure a high level of purity. As essential oils are sensitive to light and heat, a UV-protective glass bottle is used to store the oil. You’ll also find a premium glass dropper included in the shipment for ease of adding the oil into a diffuser or bath. Highly concentrated clary sage, copaiba, and lavender essential oil blend. Great for people with sleep issues. Comes with a premium glass dropper. Certain users dislike the smell. The Good Night Synergy Blend by Eden Garden contains a horde of natural sleep-inducing plants and herbs, including Lavender, Sweet Marjoram, Chamomile, Bergamot, Ylang-Ylang, Sandalwood, Key Lime, Lime, and Vanilla. Each batch of the essential oil undergoes GC/MS testing by third-party experts to ensure the content of the oil matches the label. This ensures that Eden Garden Good Night meets a high standard of safety for the consumer market. The oil was harvested from plants and herbs that are sustainably sourced and cruelty-free. The pleasant scent of a balanced combination will get you to fall asleep within minutes. As the therapeutic effect kicks in, you’ll enjoy a deep and uninterrupted sleep and wake up rejuvenated in the morning. A balanced combination of 9 sleep-promoting herbs and plants. GC/MS testing by third-party labs. Some of the buyers do not like the scent. I know what it feels like when you have to go through days without the sleep that you needed. Hopefully, some of the essential oils suggested can be the answer to your sleep issues and relaxation. I struggled with social anxiety for at least 15 years, without really knowing what I was going through. Eventually, I defeated my social phobia and conquered the fear of public speaking. 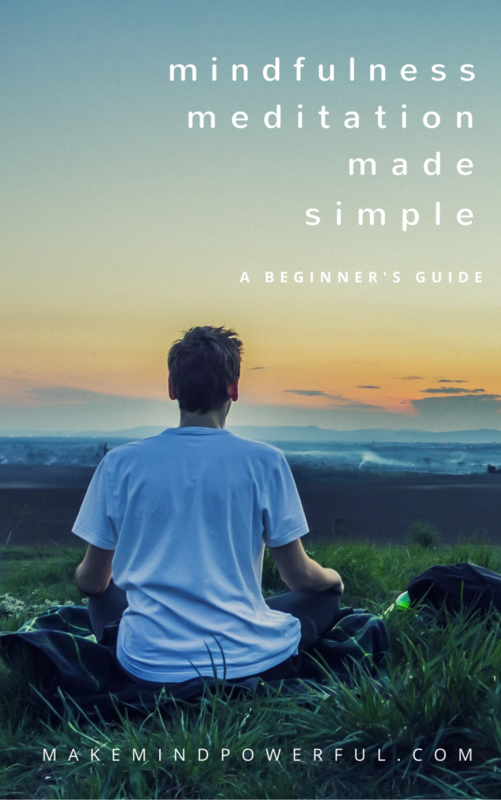 Previous Post Best Rated Essential Oil Diffusers For Aromatherapy 2019 Next Post Does Hypnosis Work For Anxiety?